In short, the Biosystems and Bioprocessing Engineering group focuses on how best to manage microbial resources. Spanning a range of projects, their main interest over the past 10 years has been anaerobic digestion (AD) of biomass, also known as biomethanation. Biomass is organic material that comes from plants and animals – it is a renewable source of energy. The team explains that, in addition to being a cost-effective way to produce energy, in the EU, AD has emerged as an environmentally friendly way to make the most of bio-waste. It allows for the recovery of nutrients from the digestion residue, which can be used for organic fertilisers – and reduces greenhouse gas emissions in comparison to for example composting. Furthermore, lignocellulosic biomass (plant matter) has promising potential for future innovative bio-based technologies as well as green chemistry. However, plant matter is defiant and often has to be pre-treated in order to release its structure and enable further bioprocessing. This is where the team comes in. 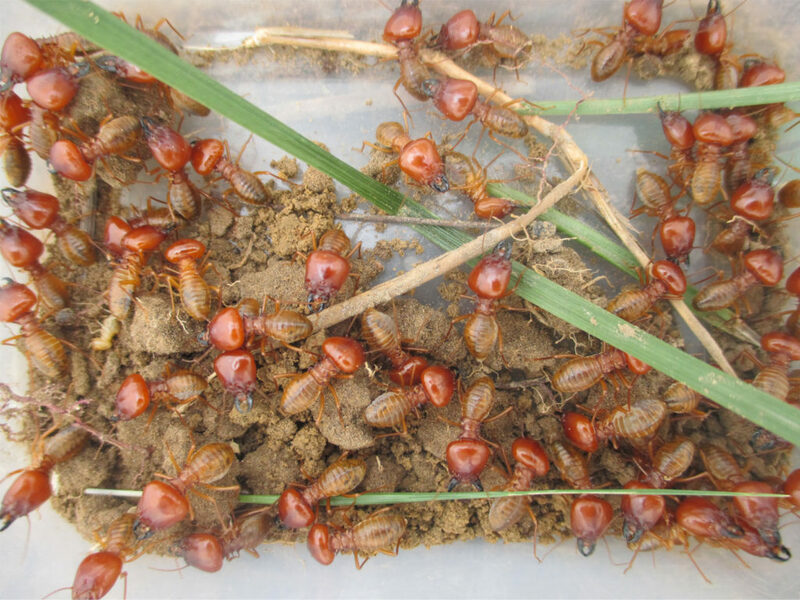 “In the framework of the projects GASPOP, LEGELIS, OPTILYS, and CLOMICS, together with other team members, we have been trying the bioprospecting of the termite gut and anaerobic digestion microbiomes, to characterise new microbes and learn from them how to better optimise our microbes-driven processes. 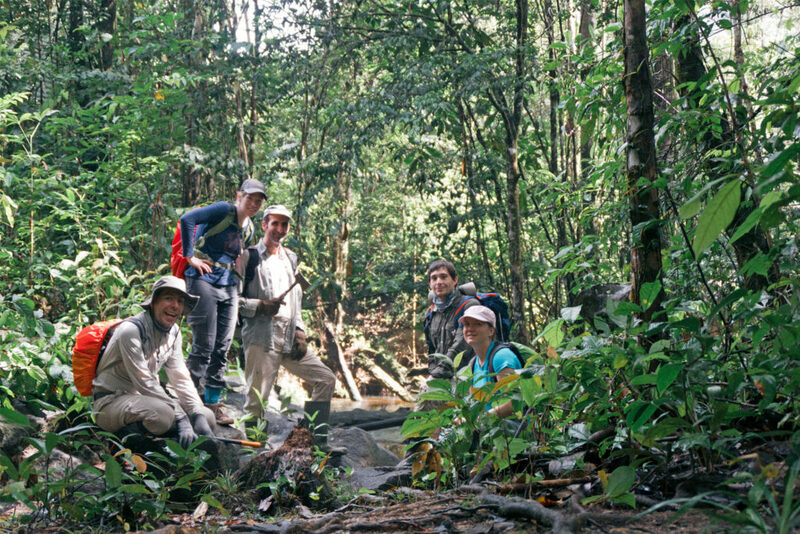 Because, who can do it better than nature?”, says Magdalena Calusinska, a Postdoc in the group. The team’s project GASPOP led to a patent patent on a biological agent and laid the foundation for the three projects that have since followed, all revolving around AD. 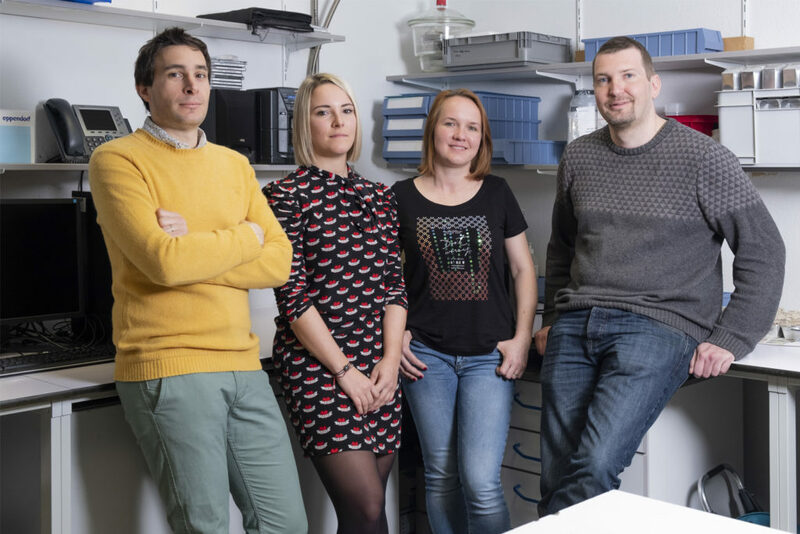 One project they have worked on is OPTILYS, which looks at Enzyme catalysis – the increase in the rate of a chemical reaction by the active site of a protein. The team is aiming to uncover the hydrolytic potential of microbes, focusing on anaerobic reactors and the gut of termites. Industrial processes driven by microbes could be a big player in future greentech and cleantech sectors – the team explains their scientific offer includes improving these processes by developing specific processes and new tools for process monitoring and control, as well as prototype reactors, pilot plans and new products, such as enzymatic catalysts. Magdalena, what do you work on and how has your work contributed to the group’s research aims? “I joined the team in 2012, I was originally hired for the GASPOP project, to develop and optimise new tools to monitor microbial consortia involved in biogas production in anaerobic digesters. “I converted the initial GASPOP methodological approach, mostly relying on the use of more traditional molecular microbial ecology tools, such as DGGE or real-time qPCR, into more modern application of the cutting-edge high-throughput sequencing technologies.The development of new protocols and bioinformatics pipelines led to several services and technology transfer agreements, which extended our network of international collaborators. Why did you decide to go into research, and why did you choose this research group? “Research has been my passion since forever. After working in the Netherlands, Spain and Belgium, I arrived in Luxembourg in 2012. Since then, I have been trying to learn from microbes, the way they function, and how we could apply this knowledge to improve the different-microbes driven industrial processes. “Initially, my main interest was focused on anaerobic digestion of biomass (lignocellulose), but I soon realised that biomass could be at the basis of many other bio-processes – if we find the best way to process it. For this reason, together with our former group leader Philippe Delfosse, we decided to investigate termites. Sébastien, what do you work on? “I am currently involved in the FNR-funded project CLOMICS, working on the development of multiple small-scale baffled anaerobic reactors. The aim is to identify and characterize ecological conditions promoting the preferential development of key microbial actors for anaerobic digestion process optimization. “In parallel, I am finalizing my PhD thesis aiming at: (1) evaluating the potential of innovative multivariate statistical techniques for on-line monitoring of anaerobic digestion reactors; (2) developing efficient and low-cost methods to re-establish the methane production in anaerobic digestion reactors exposed to critical process failure. How did you end up joining this research group and how have you helped the group accomplish its research aims? “After graduating with a master degree in rural engineering from Gembloux Agro-Bio Tech – University of Liège, I joined LIST in 2007 as a junior scientist in the freshly created Biosystems and Bioprocessing Engineering team. “I accomplished consequent engineering work, creating innovative tools from scratch – mainly reactors and gas/air analysers – helping the team to develop its scientific activities around anaerobic digestion topic. On the initial basis of scholar knowledge in electronics and informatics, I progressively developed new skills concerning the design and construction of reactors, as well as sensor technologies and the development of original biogas and ambient air analysers. Xavier, what do you work on and how has your work contributed to the group’s research aims? “My research has focused mainly on biomass degradation through anaerobic digestion and more precisely on the influence of environmental conditions on the microbes involved in this process. “I have been using different reactors, and tools for process and microbial monitoring developed by Sébastien and Magdalena during their experimental work, to generate extended abiotic and biotic datasets. Using statistics and multivariate analyses, I combine these datasets in order to understand the dynamics and interactions between specific microbial groups involved in the biomass degradation and biomethane production. “My investigation has brought valuable information regarding the unexplained and unpredictable failures or malfunctioning of the full-scale anaerobic digestion reactors. As a result, we can now identify key microbes and functional traits involved in the process. Moreover, in the framework of the OPTILYS project, we extended our biomass degradation understanding to the strategies employed by the termite gut – the most efficient lignocellulose degrading system on Earth. “Since I was a teenager, I knew I wanted to work in agronomy and be a researcher. I have been always interested in finding the best way, the best experimental design, to answer the questions I was asking myself. “After having studied engineering and a master degree in agronomy in France, followed by a first traineeship performed at the CRP Gabriel Lippmann under the supervision of Philippe Delfosse, I had the opportunity to come back to Luxembourg and work as a PhD student on the anaerobic digestion topic and I am now a Postdoc. “I would like to see our research have direct impact on the promotion of anaerobic digestion in Luxembourg. I am convinced that this process has huge potential to solve many environmental and socio-economic issues related to organic waste management, including bioenergy production, nutrient recovery, soil and water quality protection and reduction of greenhouse gas emissions. “It is important to continue the fundamental research in order to better understand and improve the process of anaerobic digestion. However, more practical aspects should be employed on a day-to-day basis. Marie, what do you work on and how has your work contributed to the group’s research aims? “One of my primary missions was to develop a workflow for recombinant protein production. Using a first set of data generated by the FNR-funded GASPOP project, I developed and optimized protocols starting from the isolation of the gene of interest and to the recombinant protein production in E. coli. These protocols included amplification of the gene, cloning, production of the protein as well as detection and identification of the molecule of interest, and finally its biochemical characterization through enzymatic assays. “I was attracted to lab work right from the beginning of my biotechnologies and food industry studies. I found a master internship in fundamental science, with a topic related to health and food. I loved the lab work but something was missing: I could not see any final product. I realized then, that I would prefer a topic more oriented toward applied research. That is when I got the opportunity to participate, as a PhD student, in OPTILYS project funded by the FNR. “Due to the decrease in fossil fuels, there is a high interest in producing renewable energy. The use of biomass to produce biogas and other green chemicals is recognized as an alternative route towards the use of fossil resources. “Unfortunately, the common physico-chemical biomass pre-treatments are energy demanding and not environment friendly, due to the production of by-products potentially harmful to human and the environment.